Shell Business Operations (SBO) Krakow sits at the centre of Shell’s global businesses, providing an operational backbone to our essential business functions. Working in a vibrant community with strong values and a supportive culture, an SBO-Krakow job will offer the chance to build a lasting and meaningful career. As one of seven Business Operations centres, located worldwide, a job in Krakow will give you the chance to interact and work with people across the world, helping to deliver excellent support to business clients and internal stakeholders as well as advanced financial operations. Shell is an Equal Employment Opportunity Employer of Minorities, Females, LGBT Equality and Individuals with Disabilities. 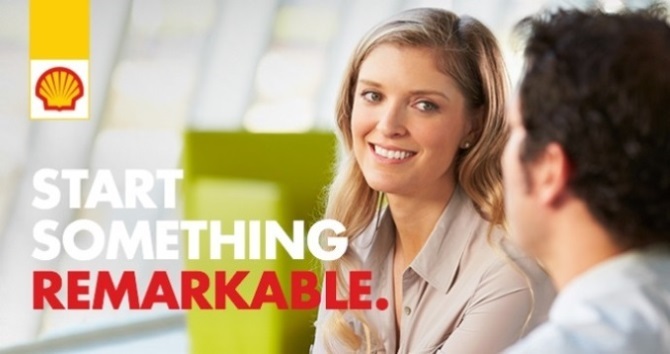 Join Shell Business Operations and start something remarkable! The role is within the Internal Communications Centre of Excellence (CoE), established to develop and execute Shell’s internal communications strategy on a global basis. The CoE supports the delivery of Shell’s business goals and priorities by ensuring consistency in strategy, systems, processes and tools across corporate, business and functional internal communications. Delivers and supports strategic internal communications programmes and campaigns (examples: Think Secure, Upstream Impact Awards and IRM) as well as vital communications related to specific business or functional change projects across the company (Standard IT products and services roll outs) as assigned. Delivers and supports local behavioural programmes and communications related to specific business, country or functional projects across the company as assigned. Provides briefing materials to practice areas and ensures timely, fit-for-purpose delivery of products and services in a beginning to end manner. Demonstrates an understanding of existing internal communications tools and channels (Intranet, SharePoint, Yammer, Video). Demonstrated ability to write and edit at an advanced level in the English language for a variety of internal audiences. Influencing skills and able to assimilate quickly in a project environment. Able to juggle multiple projects at the same time whilst keeping a clear overview. Knowledge across the broader internal/external communications function to enable successful strategic counsel. Demonstrated ability to build collaborative relationships focused on shared outcomes. Proven capabilities to deliver under time pressures and shifting priorities. Supporting experience in other disciplines or specialties of business consultancy, communications, marketing or public relations will be seen as an advantage.